Reuleaux RX GEN3, the third generation of Reuleaux box mod. 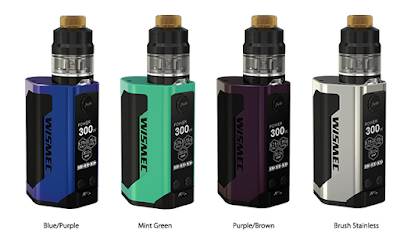 Wismec launches another four color options for you to choose: Blue/Purple, Mint Green, Purple/Brown, Brush Stainless. For more details, please click: http://www.wismec.org/reuleaux-rx-gen3-tc-300w-box-mod.html.